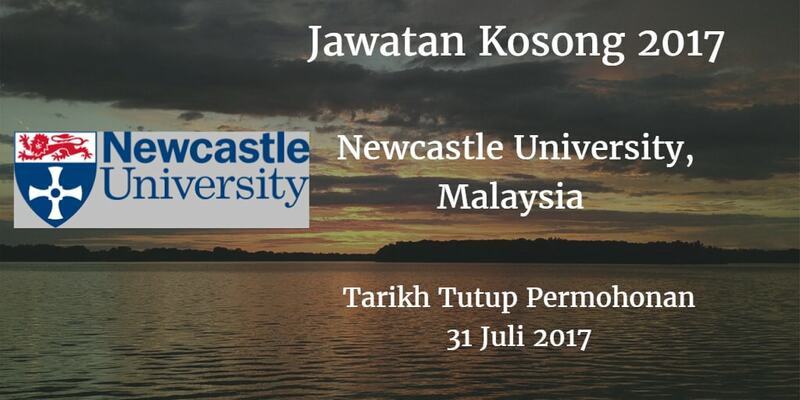 Newcastle University, Malaysia Sukacita dimaklumkan bahawa terdapat pelbagai kekosongan jawatan Newcastle University, Malaysia akademik dan bukan akademik berikut. Peluang kerjaya di Newcastle University, Malaysia . These posts are suitable for registered medical practitioners, either fully trained or in training for specialist level or general practice, holding a primary medical degree from a university recognised by the MalaysianMedical Council, and a higher medical qualification. photograph by email to: nirmala.arjunan@newcastle.edu.my. Closing date for applications: 31st July 2017.